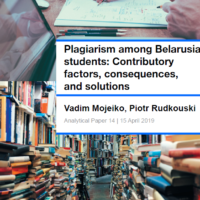 BelarusDigest > All > Police in Belarus: Guardian or Threat? Police in Belarus: Guardian or Threat? On 30 January, dozens of Belarusians stood in front of the country’s Higher Court to protest police brutality. They reacted to the harsh beating of two civic activists and a journalist, Pavel Dabravolski of the news site tut.by, inside a Minsk court building five days earlier. The recent scandal, just one of many incidents of police excesses in Belarus, has attracted public attention and encouraged other victims of police brutality to speak out. Belarusian police often threaten rather than protect the public, a fact that has become especially evident of late. While police misconduct occurs in democratic and non-democratic states alike, the lack of respect for human and civil rights in Belarus is also to blame for the excessive use of force. In spite of efforts to reform policing, the country’s police force is inordinately large, frequently acts with impunity, and is little trusted by the population at large. The loudest critics of police brutality are independent journalists and opposition activists, who suffer from it on a regular basis. Yet Belarus’s law enforcement agencies do not discriminate by political orientation or even age and disability. For example, in September 2015, onlookers recorded a video of police officers dragging an elderly blind man across the platform of a metro station in Minsk. In a March 2012 survey by the Institute for Social-Economic and Political Studies (IISEPS), 19.5 per cent of respondents cited the use of excessive force and violence as the worst problem facing Belarusian police. Fifteen per cent of respondents reported that they or their friends and family had been subjected to police violence. These responses are especially revealing because police violations are rarely covered in the official media. There are numerous cases of suspects who are beaten to extort confessions, and even some cases of people dying in police custody. Perhaps the best-known incident is the 2013 death of Igor Ptichkin, sentenced to three months of administrative arrest for driving when his licence was suspended. Ptichkin’s family and human rights advocates argue that the 21-year-old died from torture and physical abuse while in detention. That same year, political prisoner Mikalaj Aŭtuchovič cut his abdomen to protest being abused while in custody. 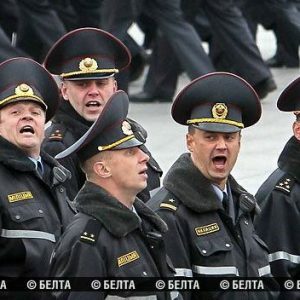 How Large is Belarus’s Police Force? Belarus’s law enforcement agencies do not publish statistics on the number of violations by its personnel, nor for that matter, on the actual size of the force. 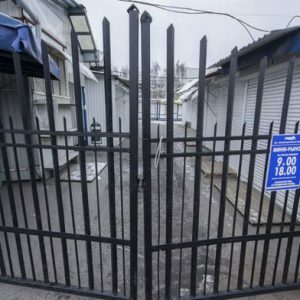 Estimates published in a 2010 report by the United Nations Office on Drugs and Crime (UNODC) suggest that Belarus is indeed not far from Europe’s average. According to the report, Belarus in 2004 had 326 police personnel per 100,000 people. This estimate is close to Eastern Europe’s average but is still much larger than that of Poland, where there were 260 police officers per 100,000 people in 2006. Shunevich’s hard-line predecessor Uladzimir Naumau claimed that the Ministry of Internal Affairs employed 50,000 people in 2006. This number slightly exceeds the 48,000 personnel in the Belarusian armed forces (the latter figure, curiously enough, is easier to track down). The sprawling size of Belarus’s law enforcement agencies does not seem to improve public safety. According to the UNODC report, Belarus's homicide rates, while lower than in neighbouring Russia, are still higher than in Western European states. A considerable portion of law enforcement resources is diverted from fighting serious crime to protecting the authoritarian regime of Alyaksandr Lukashenka. They are also dedicated toward advancing the material interests of police officers, who are notorious for taking bribes at all levels. Corruption, weak professionalism, and excessive force have reduced public trust in law enforcement agencies. According to a 2015 survey administered by the Interior Ministry, only one third of respondents expressed complete confidence in the police. The results of independent polling are even more troubling: asked in a 2015 survey by the Belarusian Institute of Strategic Studies (BISS) where they turn to for support and protection when their civic or political rights are violated, just 40 per cent of respondents mentioned law enforcement agencies. To be fair, the situation is much direr in neighbouring Russia and Ukraine, where corruption and violence are even more pervasive. Tabulating 2011 World Values Survey data indicates that the Belarusian police are not doing so poorly in comparison. In June 1994, Alyaksandr Lukashenka, then a presidential candidate in one of Belarus’s first post-Soviet elections, was harassed by the police inside the Government House. Legend has it the officers damaged his only suit, though he suffered only minor injuries. “I have not witnessed such boorish treatment in a long time,” the future president told the newspaper Sovetskaya Belorussia. Upon assuming office, however, Lukashenka did little to increase the professionalism of the law enforcement agencies Belarus inherited from the Soviet Union. It was only in 2002 that the need to combat the rise in crime prompted some structural changes to the Interior Ministry, which oversees the police. Four new departments emerged: the Department of Protection, the Department of Corrections, the Department of Finance and Logistics, and the Department of Citizenship and Migration. In 2012, Lukashenka announced another round of police reforms. An explicit goal was to reducing personnel while significantly increasing salary levels. In April 2015, a police captain with 10 years’ seniority could earn 7 million rubles ($500) a month, according to Shunevich, slightly above the average national income of 6,500 million rubles ($450). Yet better pay and changes in organisational structure have hardly increased the professionalism. What Belarus’s police force really needs is better training and greater transparency. Without transparency, the majority of police violations go undetected and unpunished. So far, the government’s response to police brutality has been to silence critics. In 2011, for example, the publishing house Lohvinau lost its business license for violations that included publishing photos of the police cracking down on bloodied protesters. If police do not undergo proper training, the use of force can become the rule rather than the exception. Of course, teaching the police to respect human and civil rights is fraught with contradictions – and may be altogether impossible – in a state that routinely violates these rights.